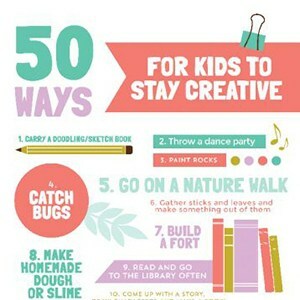 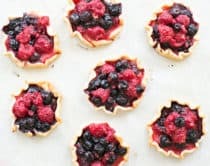 There’s no doubt the holidays are a time to indulge and go all out with making homemade treats and goodies. 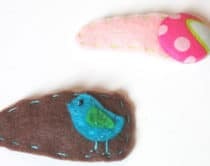 These 12 adorable holiday themed treats are fun ones you can make with the kids. 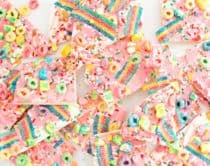 From ridiculously cute reindeer cupcakes and strawberry Santas to marshmallow peppermint pops, or Rice Krispie Christmas trees – these festive treats are sure to make your holidays with the kids a very merry one. 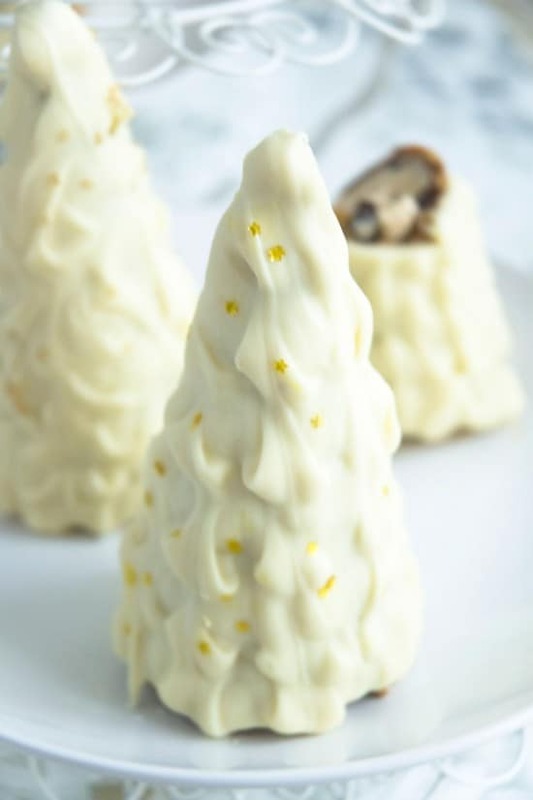 Ice Cream Cone Trees (via Knuckle Salad) Ice cream and chocolate combine to make these easy Christmas shaped treats. 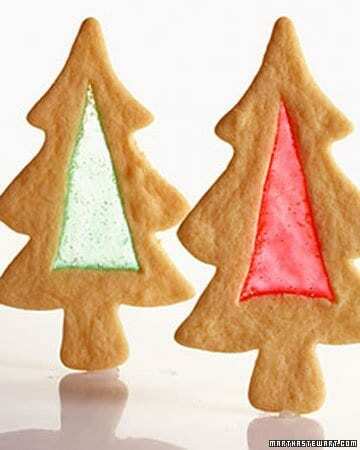 Stained Glass Sugar Cookies (via Martha Stewart) Some of the prettiest cookies you’ll ever make – these would also look festive hung up on the tree. 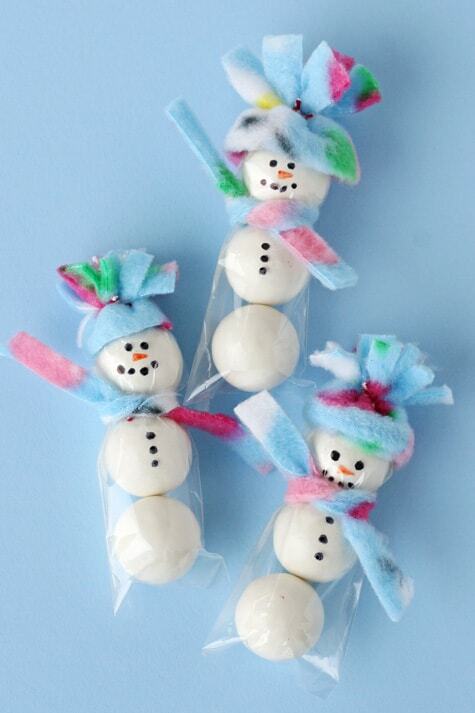 Gumball Snowman (via Glorious Treats) These adorable snowmen are sure to bring Christmas cheer to any lucky gift recipient. 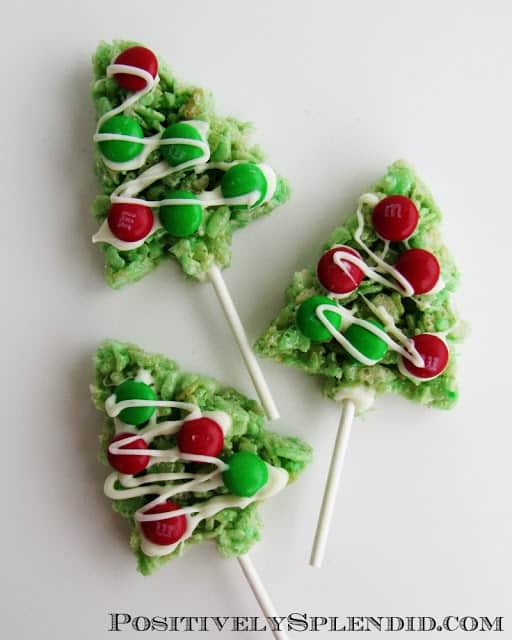 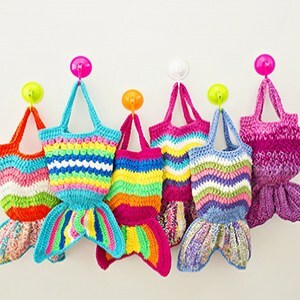 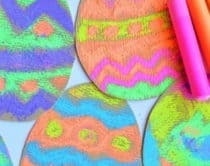 Rice Krispie Trees (via Positively Splendid) Dress up your Rice Krispie treats into a decorated tree shaped pop. 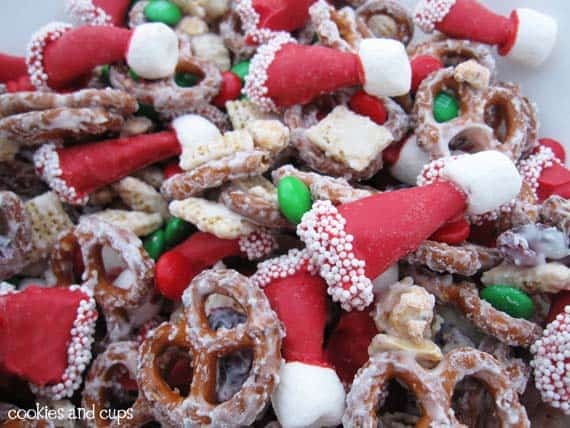 Santa Part Mix (via Cookies and Cups) This holiday snack mix looks yummy and addictive – love the sweet and salty candied covered hats! 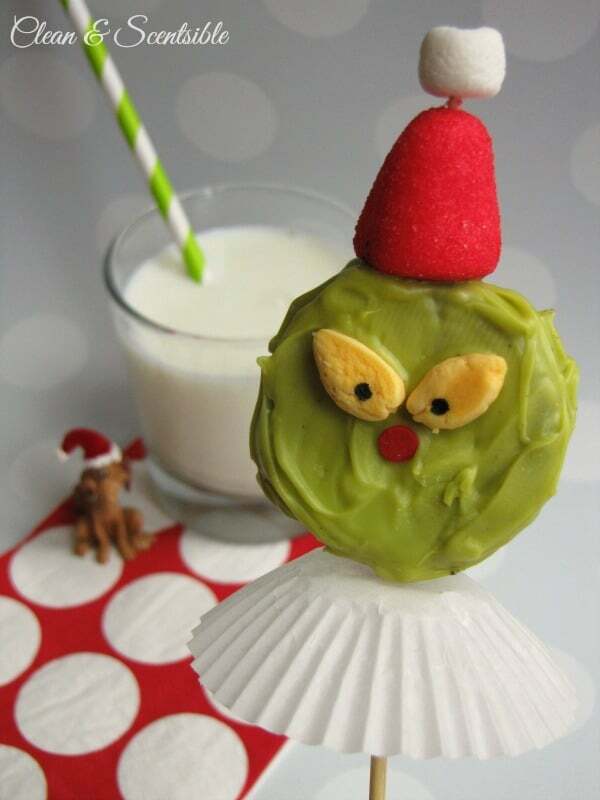 Grinch Oreo Pops (via Whipperberry) It’s hard to be scared at the Grinch when he’s dressed up as a cute cookie pop. 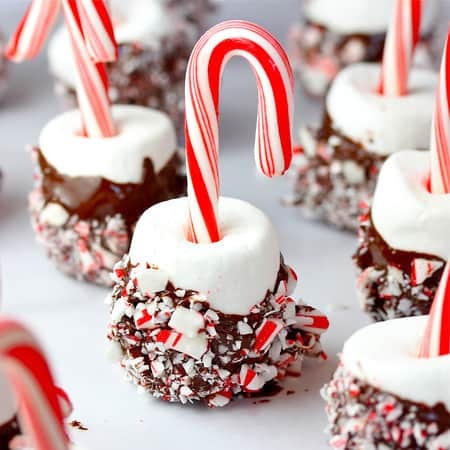 Peppermint Marshmallow Hot Chocolate (via The Kitchen Mccable) A perfect excuse to throw a hot chocolate bar party – drizzle warm milk over these pops for a decadent treat. 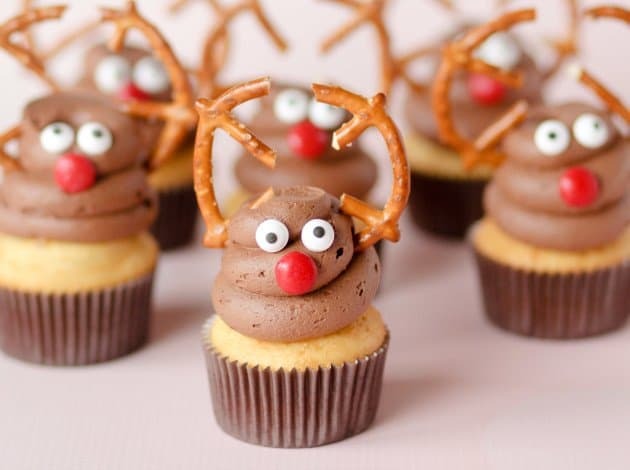 Rudolph Cupcakes (via Food Fanatic) These red-nosed reindeer cupcakes are almost too cute to eat – they’d be a hit at the classroom party. 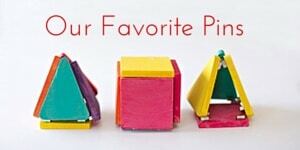 Peanut Butter Trees (Wine and Glue) Looking for a quick but super cute holiday treat? 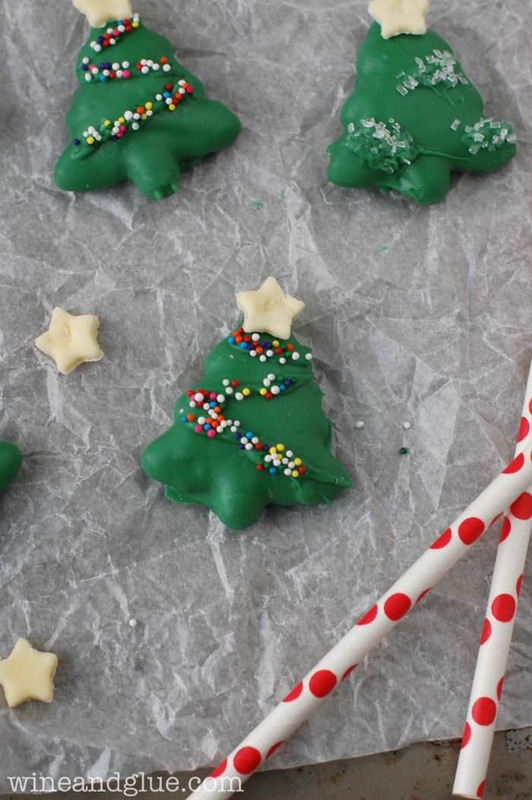 These peanut butter trees only take 4 ingredients to whip up. Santa Strawberries (via Leanne Bakes) Quite possibly the cutest santas ever and a healthier treat since they’re made with fruit. 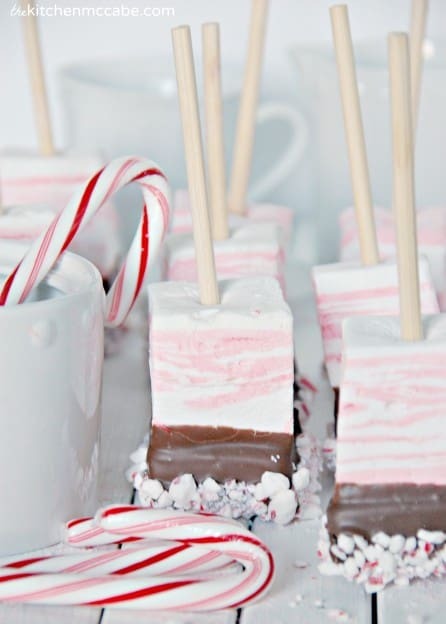 Candy Cane Marshmallow Pops (via Liv Life) Easy dipped marshmallows that make sweet little gifts too. 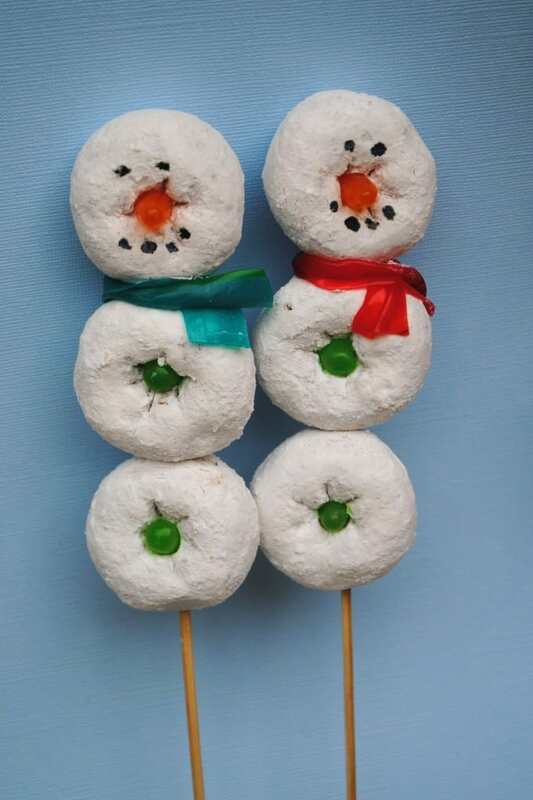 Donut Snowmen (via The Sisterscafe) The most adorable snowmen powdered with sugar and complete with fruit roll-up scarves.